A new heartwarming (and, at the same time, heartbreaking) trailer for Her has hit the web. 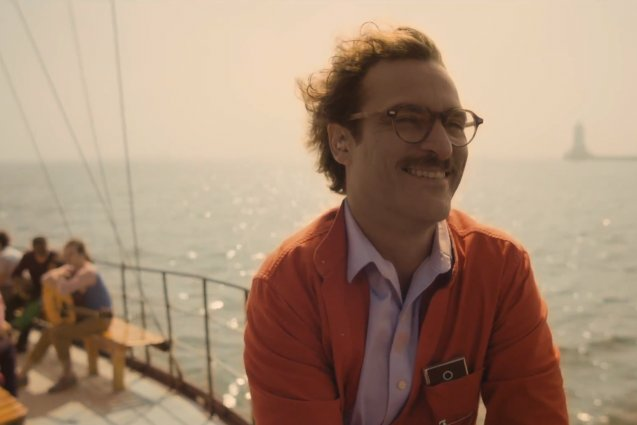 Jumping right into the extremely complicated relationship between Theodore (Joaquin Phoenix) and an artifically intelligent operating system named Samantha (voiced by Scarlett Johansson), the trailer takes a look at what it means to fall in love. The film, written and directed by Spike Jonze, follows an introvert named Theodore who finds himself falling in love with, basically, a voice. In the trailer, which is paired with Arcade Fire’s “Sypersymmetry” — the band scored the film — we watch as Theodore struggles with the idea of a relationship with a voice actually being a real relationship. He’s the happiest he’s ever been, but his ex-girlfriend (played by Rooney Mara) accuses him of being too afriad to be in an actual relationship with a human being. Debbie Downer much, Mara? Luckily for Theodore, and romantics everywhere, his best friend Amy (Amy Adams) is full of heartfelt wisdom that makes you believe that any type of love is plausible. Winning for most accepting character in the universe, Amy, who doesn’t seem to care in the slightest that her best friend has fallen for a “person” that has no body, insightfully says: “Falling in love is kind of like a socially acceptable insanity.” With two battling ideas of what is socially acceptable when it comes to your heart, it’s up in the air as to which way the chips will fall for poor lovestruck Theodore. But either way, if the film is anything like the trailer at all, then at the very least it will certainly make us question if our views of love need to be expanded. Her goes into limited release on Dec. 18, before going wide on Jan. 10.